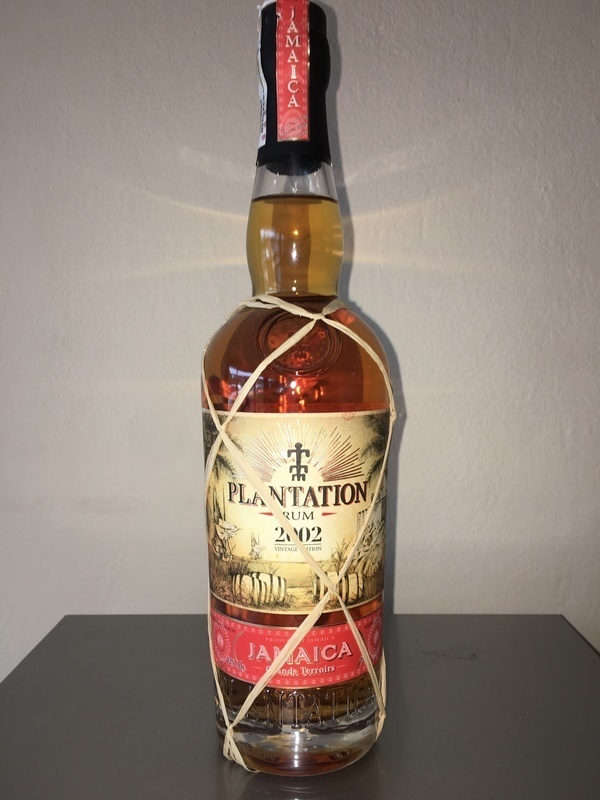 Have you found an online vendor selling Plantation Jamaica 2002? Nice light gold color. At the nose, we can detect typical varnish, solvent note coming from Jamaica with fruity notes like pineapple, banana and mango. On the palate, same aroma, very smooth. The final is not very long but nice rum. Un rhum assez corsé, vieilli en fûts de bourbon dans un premier temps, puis en fûts de cognac. Un nez assez prononcé, mélange de fruits et d'épices, assez proche d'un rhum agricole pour moi. En bouche, il n'est ni trop sec, ni trop sucré. On retrouve un mélange de fruits exotiques, d'épices et de canne, sans qu'une saveur prenne réellement le dessus. Quoi qu'il en soit, il est plutôt costaud et ne manque pas de corps! Un rhum agréable à découvrir, mais pas forcément accessible aux personnes préférant les rhums plus doux et plus sucrés! Pas un souvenir impérissable, trop raide à mon gout. Compared this to the plantation xaymaca. Very similar in taste though the xaymaca are more dry and not so sweet as it's brother Jamaica 2002. But nevertheless this is a great rum like the xaymaca. If you prefer a sweeter rum this will suit you more. But trust me, it's not to sweet. Banana and arrak for the flavours and nose. Has the some of the typical Jamaican flavors but lacks power. Good light rum. Trouvé trop sec! Beaucoup l'apprécie dans d'autres sites, mais moi non. Orange zest and banana are the only ones I taste on the first glass. Not sure if I like all the flavours. I’m not big fun about Jamaica rums. But this time I was nice surprised. Nose: first give little bit time for this Rum. Let him take a breath. This way alcohol aroma will lose strength. Taste: I’ll be sure that I will have unliked taste of alcohol. But not in this time. It’s very smooth. Smells wooden and sweet, and it is sweet. I compared it with others Jamaican rums, and it is not as god as others. Woody and i find some peat in the mouth. Not long lasting. But for this price, nice. This rum's nose contains a musty and sour aroma. There is clearly plum for me, but somehow rotten. A bit more than fermented. This is also reflected in the taste with plum, cacao, butter and overripe banana. In der Nase wunderbar füllig und tief, Du steckst Sie in ein getoastetes Eichenholzfass das mit Früchten, Karamell, Vanille - Sahnebonbon und Gebäck gefüllt ist. Im Gaumen angenehm warm und mundfüllend aber nicht so tief. Jamaika irie, ein buntes Bukett von tropischen Früchten, Vanillebrötchen, Schokolade, Gewürzen und ein Schuss Zuckerrohr Sirup. Im Abgang scharf und pfefferig, Früchte und Karamell schwimmen auf der Süsse davon. Beautiful honey yellow amber in the glass. Wonderfully full and deep in the nose, you put it in a toasted oak barrel filled with fruits, caramel, vanilla -cream toffees and biscuits. The palate is pleasantly warm and mouth-filling but not so rich. Jamaica irie, a colorful bouquet of tropical fruits, vanilla rolls, chocolate, spices and a dash of sugarcane syrup. On the finish spicy and peppery, fruits and caramel float on the sweetness of it. 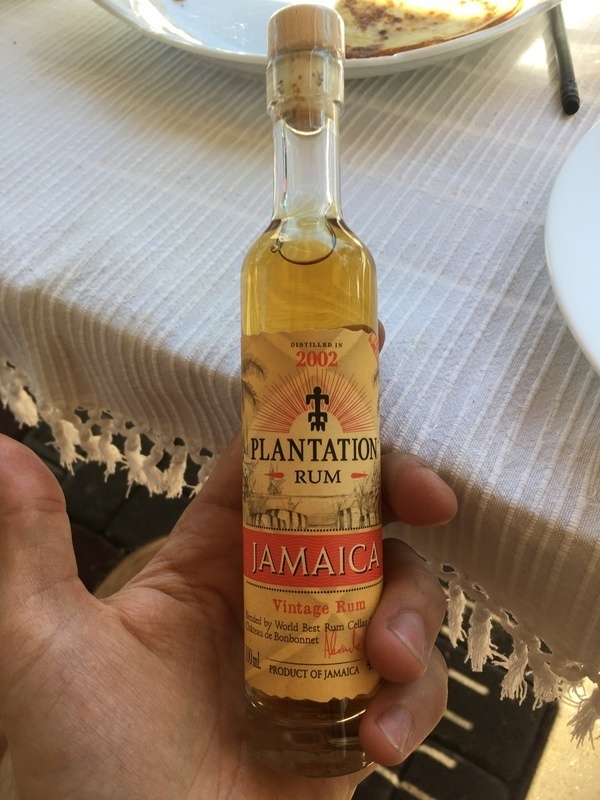 Tried the Plantation Jamaica 2002 and it has a very weird rubber smell to it. Maybe it's the Jamaica Glue which other reviews are referring to. It is offputting to start with and the taste test does not convince me either. There is surprisingly strong burn at the end. This rum was bit disappointing ,I was expecting something smoother. That said, it is a good rum ,just not one that I would prefer to sip. The strong rum flavour makes the best rum and coke. If you like rum off Jamaica buy this one. Great taste. Ice will make some flavors stand out. Un rom special pentru cine apreciază romurile de Jamaica. Mie personal nu-mi place în mod special dar apreciez corpolența și vechimea acestuia. Probabil e mai plăcut în mix-uri. A classic jamaican rum, strong, full body, raw, stingy, spicy amd a little bit sweet. 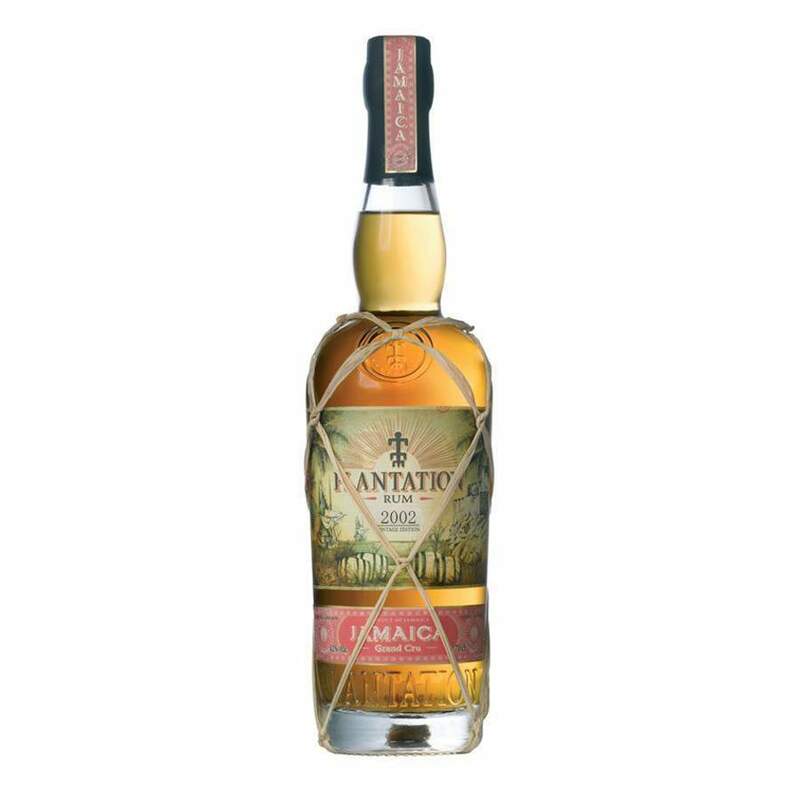 My estimation is that both the 2001 and 2002 Jamaica from Plantation are from the Hampden distillery. Thus, they are similar. However, the 2001 has more "umph" - more funk, more flavor, more jazz, while the 2002 is more mellow, while retaining that Hampden marshmallowy flavor. It's been sweetened, same as most Plantations, but for Hampden, I feel that isn't a bad thing. The sugar makes it smoother and tames the bitter notes. The 2002 isn't going to replace the 2001 for me as a sipper, but it will serve as a more-available rum for cocktails where I want that Hampden funk. A strong rum, i like the stinginess and depth this rum had. But the taste overall is too harsh for me. Maybe some ice would soften it. The nose is nice and fruity with a slight whiff of that classic Jamaican funk reminding me of a mixture of gumdrops, wooden lacquer and overly ripe bananas. Nosing it further, I also pick up raisins, chocolate, vanilla, cane sugar and a bit of oak. Very appealing. The notes from the nose follow through in the mouth. Besides being fairly aromatic and potent, it's also a little bit sweet with a creamy texture, finishing on nutmeg and a bit of black pepper. Very delicious and approachable "everyday" Jamaican, flirting with an 8. This rum has a nice fresh fruity odour. However the aftertaste is a bit bitter. Not great.